We were always big fans of the original Now TV box, it was perfect for a spare bedroom or kitchen screen, but now, Now TV wants a place in your living room, enter the Now TV Smart Box. What makes the Smart Box different to the standard Now TV? The biggest addition is an HD Freeview tuner, meaning you can watch over 60 live television channels with no subscription needed. The box also features all of the UK's catch-up services, BBC iPlayer, ITV Hub, All 4 and Demand 5. Again, also free. Of course, you can pay Sky to get more channels, and we think the way Now TV is set up is really rather excellent. You can choose to subscribe to Now TV's packages, the Entertainment Pass, Sky Cinema Pass, Kids Pass, and Sky Sports Pass. But unlike Sky, these passes are subscription free, meaning you can cancel at any point. There's plenty of excellent content to keep you entertained. Channels from Now TV Passes, suchas Comedy Central or Sky Cinema Premiere can be streamed live or viewed from catch up. Channels can be paused and rewound, but there is no recording function available. All of the shows I watch, such as Practical Jokers on Comedy Central and *whisper it* Teen Mom on MTV were available to catch up with, meaning I didn't miss the ability to record shows, but I still had a bit of anxiety as to whether my favourite shows would be added or not. Two notable absences are Netflix and Amazon Video. It's understandable that Sky doesn't want these competing services on the box, but it's a shame you'll have to purchase a separate streamer for your Stranger Things fix. We think the passes are reasonably priced, charged on a monthly basis, it's £6.99 for Entertainment, £10 for Movies, and £3 for Kids. The box itself is £39.99. The design it pretty understated. It's slimmer than the standard Now TV, but has a slightly larger footprint. Still, at 165mm x 165mm x 20.5mm it's not massive by any means. Image quality is okay. It's capable of 1080p, but streams from the Now TV passes are only 720p. That's kind of crappy, especially if you've just splurged on a shiny new 4K telly. HD channels on Freeview look good at 1080p. The box is capable of 7.1 surround sound, which is great if you've got a decent speaker setup. The menu system is very simpleto use - it's image based which makes things intuitive to use, and we found it better than most smart TV UIs out there. The remote is also pretty good, a decent size, with pleasing clicky buttons which are easy to find in the dark. The 'Best of Catch Up' section on the menu is a great idea, making it really easy to find shows you've missed, but we really wish it was smarter, and showed only the shows you're interested in - like a music streaming service. 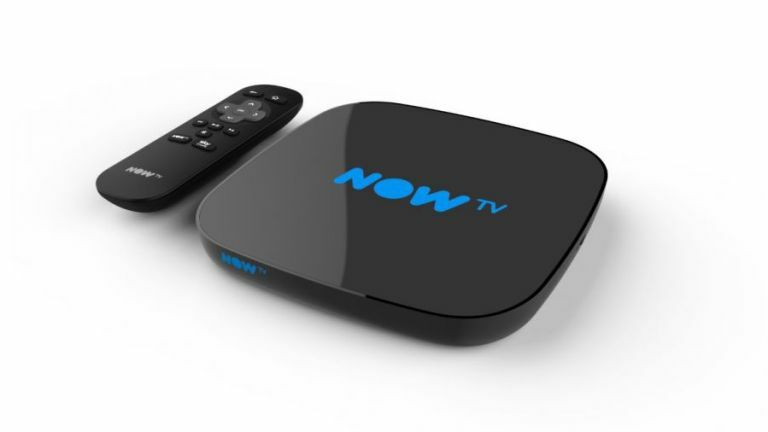 We really liked the Now TV Smart Box, it's a great little system. It would be a five-star product if Sky content was capped at 720p. If you do want Sky content and flexible streaming, without the expensive Sky Q contract however, this is well worth the small £40 asking price.